Investigations, according to the police, revealed that in February, Obiajuru and the two soldiers that had been acting as his orderlies, stormed a hotel in Shasha to compel four youths who refused to pay after spending four nights there. They were alleged to have beaten the youths (three males and a female) with horsewhip before dragging them out of the hotel, when they claimed they were not with cash. They allegedly forced the youths to use the hotel’s POS to withdraw N15,000 out of the N18,000 owed. The self-acclaimed military men were alleged to have collected their phones and laptop in place of the balance of N3,000. However, the bubble burst after Obiajuru visited a friend’s welcome party in Shasha two weeks ago, where he was confronted by the youths who identified him and descended on him. He was on the verge of being lynched when policemen from Shasha division arrived the scene and whisked him to the station. During preliminary investigation, he was discovered to be a fake military man. Further investigation revealed that the two soldiers he usually went out with had long been dismissed from the force. 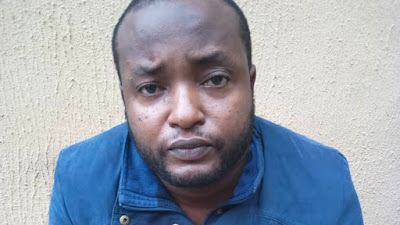 During interrogation, Obiajuru who claimed to be the coordinator of Harry Foundation, a charity organisation based in Shasha, denied masquerading as a colonel. Rather, he said people only called him colonel because some members of his family were in the military. He said: “I am not a Colonel and the soldiers in question are not my orderlies. They (soldiers) brought a car to me in February this year that they wanted to sell. I contacted one of my aunties, who said I should bring the car, a Lexus for her to see. I took the car to her in company of the soldiers, but she said it was too small that she needed a SUV. “On our way back I got a call from a friend who said his sister, owner of New Moon hotel was in distress. When we got there, we discovered that some lodgers refused to pay her for the four nights they spent. The soldiers banged on the door of the room they were but the youths refused to open, until the soldiers announced they were there with their boss, a Colonel. “When they opened the door, the soldiers flogged them with horsewhip. They could only pay N15,000 while one of the soldiers paid the balance of N3000. In return, he collected the items from the youths and drove off. While there, I received a call from the friend that earlier called me to save his sister. He instructed me to refund all the items to the boys that they had gone to the hotel to make trouble. “Immediately, I drove to where the soldiers were but they only gave me a laptop and went with the rest items. But the boys kept mounting pressure on the owner of the hotel, thereby forcing me to go look for the soldiers at Ojo barracks to collect the seized items from them but I was told they were not there. It was when I got to Badagry barracks that the commander told me the soldiers had been dismissed from the force. “When the pressure to return the seized item became unbearable, I was asked to pay N300,000, estimated as cost of the seized items. By March 2018, I paid N150,000 out of amount and I was given up till July to pay the balance. But I traveled to the village and returned at the end of August. To my shock, the boys called cultists to descend on me when I attended a friend’ s party”. Explaining where he got the pump action riffle, he said a friend gave it to him. Also asked how he came about the military camouflage caps and the horsewhip, he said the soldiers left it inside a bag they forgot during their last meeting. On the UN plate cover permit, he claimed he got it during a seven-year voluntary peace-keeping mission as an observer. It was gathered that the suspect, who was transferred from Shasha division to the Federal Special Anti Robbery Squad (FSARS), Lagos State Command, had been charged to court.